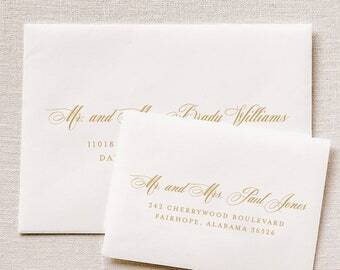 Love the look of double envelopes? Me too! 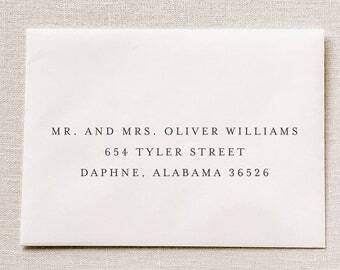 Order this listing if you want to add outer envelopes over your invitation envelope. 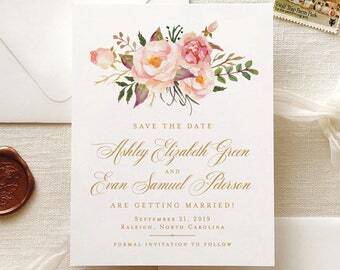 Step 1: Make sure you have added our invitations or save the dates to your Etsy cart. 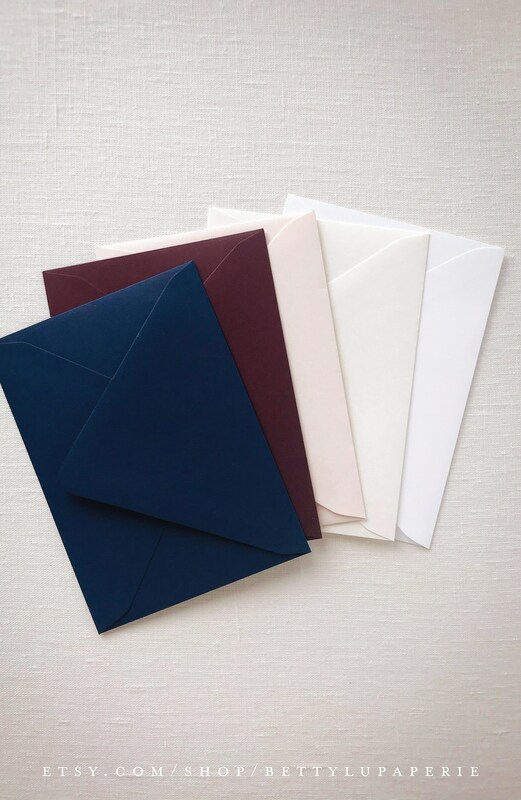 Step 2: Select the amount of envelope sets you need. Step 3: Select your envelope color. 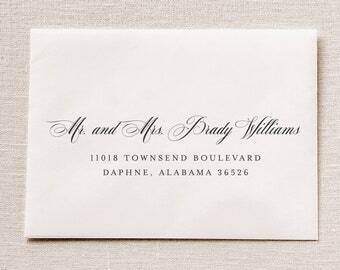 Will ship with your order of invitations. I love this sign! I love even more that the seller was willing to customize the sign for me so I was able to personalize it exactly the way I wanted. I can't wait to display this for my guests at our wedding next month. Extremely happy with the end product! I am so pleased with this purchase! The gold stamp came quickly and was just as beautiful as I had hoped! 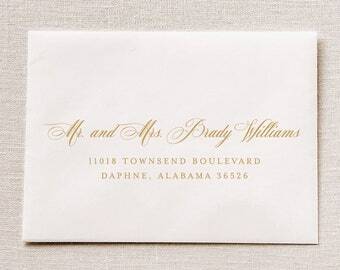 I have navy and maroon envelopes and wanted the gold to show up all fancy and they did perfectly! They are beautiful! Thank you I love it! Check each item description for detailed information. The estimated shipping date on Etsy does NOT reflect an accurate shipping date. Please check ETA below. 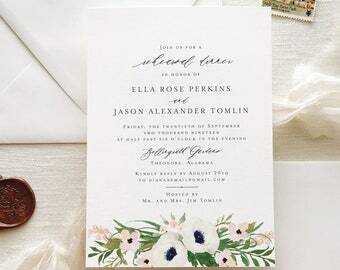 INVITATIONS: Upon approval, allow up to 1 week for printing. 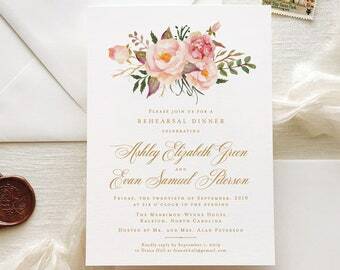 Allow 2 weeks production for invitations that include belly bands, tags, or liners. DAY-OF STATIONERY: Allow 3-5 business days for printing and ships afterward. SHIPPING: Orders are shipped FedEx Ground except samples and rubber stamps which ship USPS. Expedited shipping available on request. Orders to Hawaii and Alaska are an additional shipping fee or ship free via USPS regular mail. PRINTABLES: Emailed to you in 3 business days. Not available for some items. Rush production is unavailable at this time. Can I use my own wording? 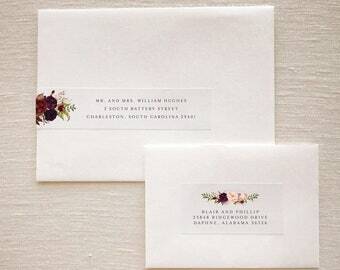 Yes, I will use your custom wording for wedding stationery. Just leave a note for me in the notes to seller box at checkout, and I'll take care of the rest! Can you change the colors of artwork and fonts? Custom artwork color changes are $20. You may order custom colors from the add-on section of our shop here: https://etsy.me/2MvtdA8 Font ink color changes are complimentary. Can I order a custom sample personalized with my details? At this time, we do not offer custom printed samples. This is due to the amount of time it takes to design, produce and package our stationery. 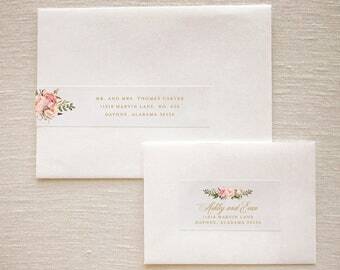 You may order a sample set through our shop so you can see the look and feel of our stationery prior to ordering. How much customization is allowed for stationery? Our stationery is semi-custom. This means artwork colors can be changed for $20 and you may choose a different font other than what is shown. 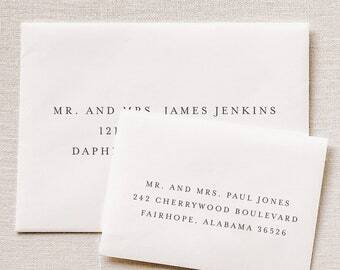 All wording is 100% customizable with your details. 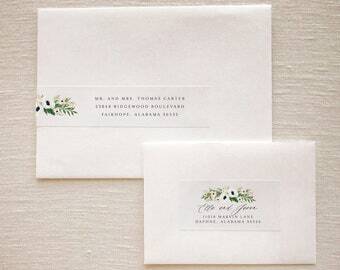 Smaller items, such as gift tags and website/registry cards, have limited writing space. Can you send a proof before I place my order? We do not provide proofs prior to a purchase. While it may seem like an easy or quick task, a lot of time, attention and effort goes into developing your proof to make sure it is perfect before being sent to you. Three complimentary rounds of revisions are included with every order, and I won't print anything unless it is approved by you. What if there is a typo? 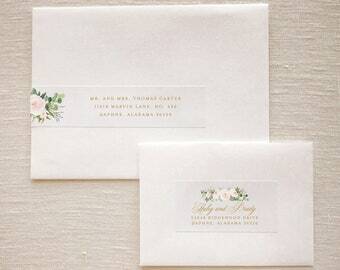 Betty Lu Paperie is not responsible for any errors or typos that are approved by clients during the proofing process. 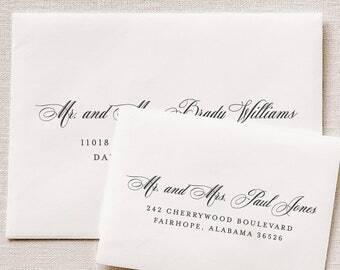 This is why carefully proofing your stationery is crucial. You will have many opportunities to view, proofread and revise your proofs. I try to respond to all messages as quickly as possible. The best times to reach me are during office hours below. Proofs, printable files, and shipments are not sent during weekends. I reserve evenings and weekends for time with my family. I appreciate your patience and understanding as I strive to maintain a healthy work/life balance. Unfortunately we do not ship overseas at this time. International shipping is quite costly, and there are so many risk factors involved with lost packages or delays. Not to mention, many countries charge you an additional import tax upon delivery. While I would love to serve clients abroad, the shipping process is simply too high-risk and stressful. I always strive to make sure my clients have the best experience working with me, and right now I don't feel I can adequately meet the needs of overseas clients for these reasons. Due to the custom nature of stationery, refunds are not available. To cancel, please contact me within 24 hours of purchase. After this time, there is a 25% cancellation fee. Cancellation is only available to those who have not received a proof, print or any other format of stationery via email, mail or other method. Betty Lu, Inc. cannot offer returns, refunds or exchanges in the event of cancellations or event changes. Betty Lu, inc. is not liable for lost packages, weather delays or any other delays due to shipping.